The familiar spiral staircase is at the side of the building. With the gentle breeze on my face, Mr.Ang held my hands as we walk down little Paris street. The exterior design of the building are white in colour. The familiar spiral staircase leads you to the unknown second-floor cafe. White and sleek design captured my woman inner feeling. Wait a minute.. I can’t take leave and fly to Paris and enjoy all this detail. 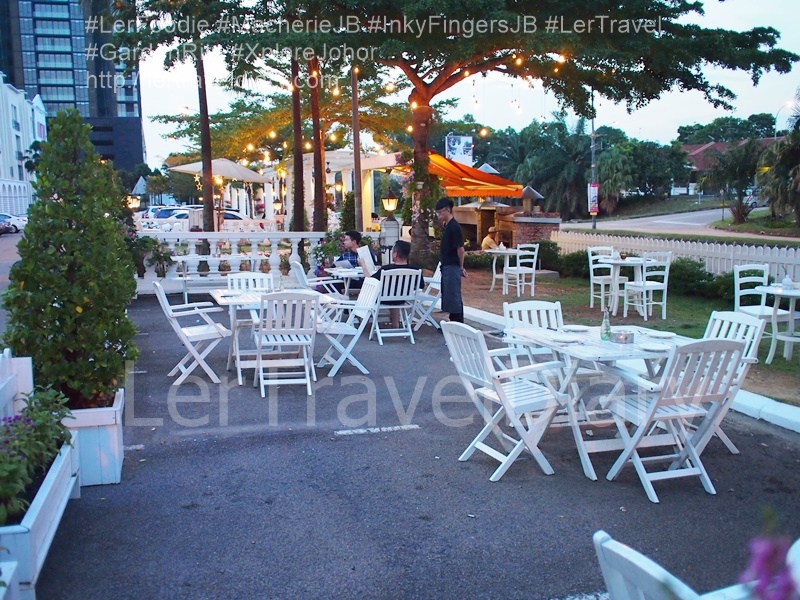 Welcome to Little Paris @ Johor Bahru. A new hipster area for family, friends or Instagrammers to hang out. 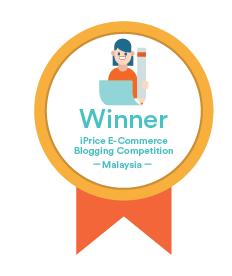 Ladies love to do their outfit post of the day (#OOTD) against this area. Not to mention, there are a big love shape sculpture and the status of liberty are good prop to take photos. Along the street, there are a few cafes, restaurants and ice cream shop to curb your hunger. It is great to get to know Mr. Ken, the owner of this street developed this area for hanging out. 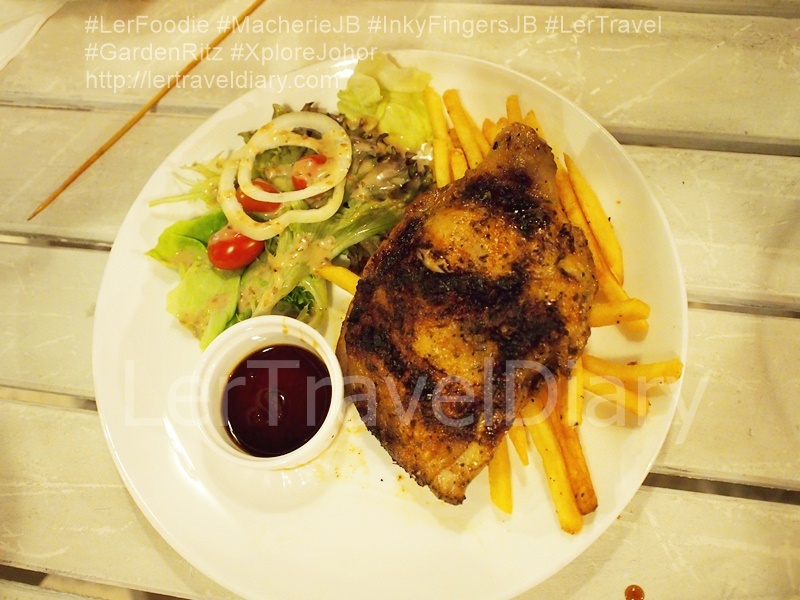 He invited some bloggers and us to try out his new menu in Garden Ritz. Al-fresco style seating under shady trees. 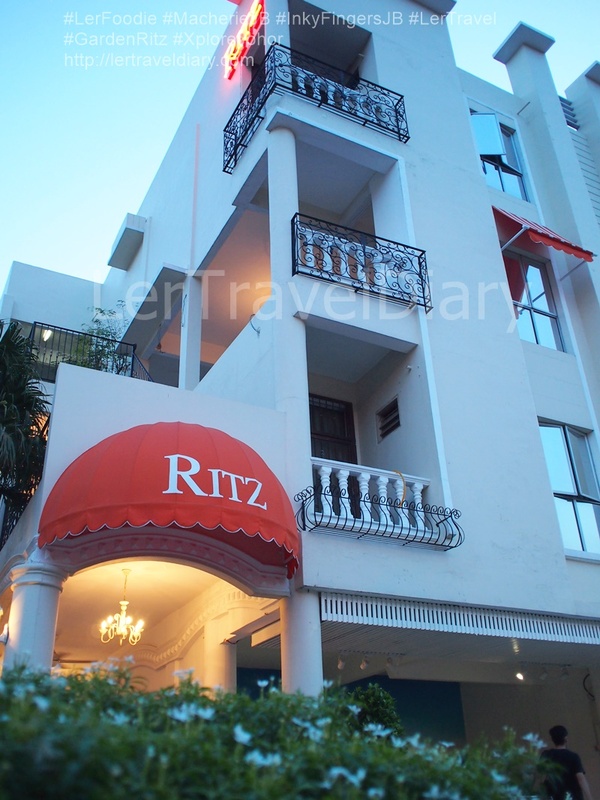 Garden Ritz is located outdoor. Diners enjoy their meals at tables set out al-fresco style. There are a number of shady trees along it. Thus, the temperature and breeze are most favourable. Time to tuck in for some BBQ food. Signature Seafood Paella RM88.00. The portion can serve 2 to 4 diners. 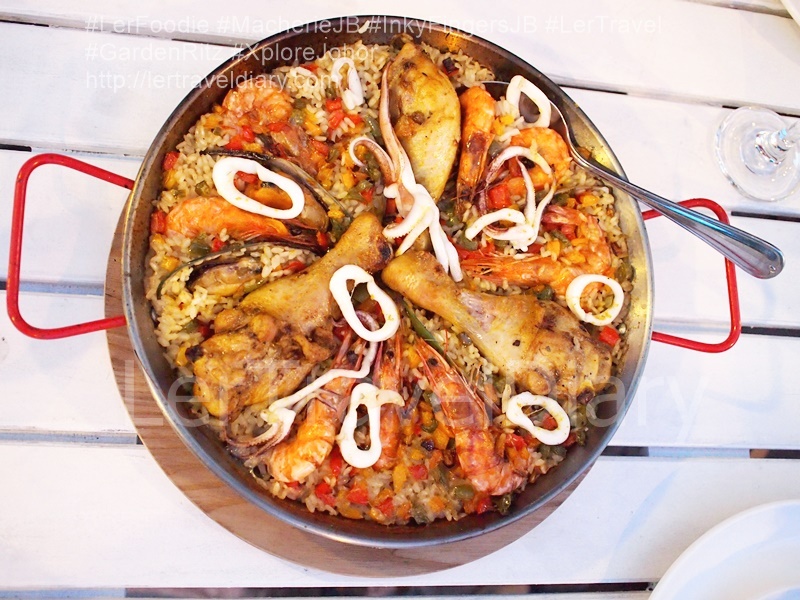 The paella consists of 3 big chicken drumsticks, prawns, squids and mussel clam. The rice is creamy with a slight of spiciness. 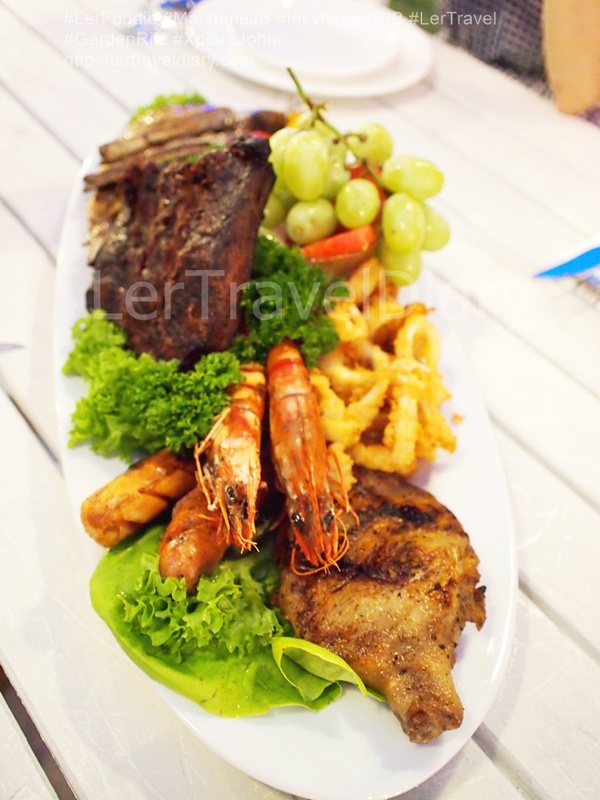 Signature Meat Platter RM198.00. An array of meat for meat lovers. Chicken, lamb, pork, beef rib, fried calamari, sausages ad curly fried. Salad, grapes and watermelon to balance off the taste. BBQ Baby pork Rib RM45.00. The chef maintained the Argentina BBQ style for these ribs. The chef used 100% charcoal to cook it. 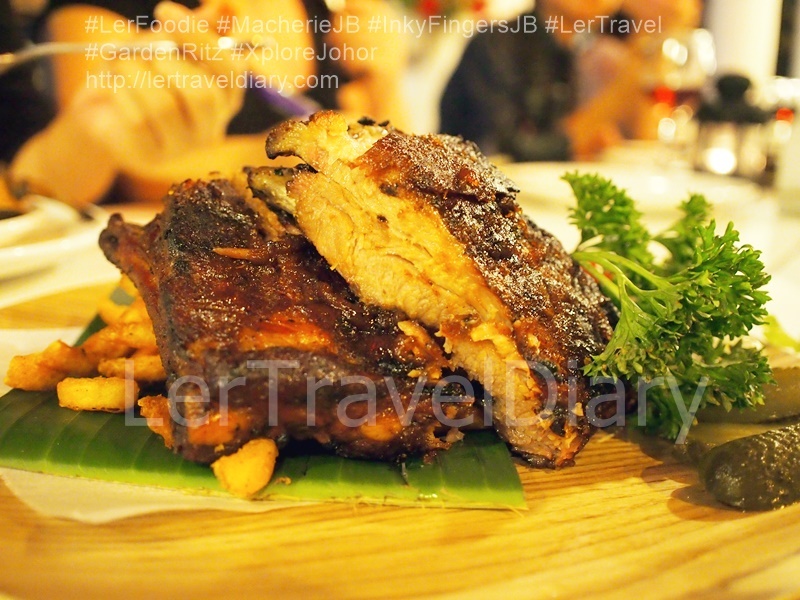 If you have tasted Morganfield’s or Naught Nuri pork rib before, Do not expect the same taste. Argentina BBQ is totally opposite cooking style. No additional cooking processes such as steam or boil to retain the juiciness. The BBQ style itself retained the meat tender texture and juiciness. We can easily tear off the meat from the bone. 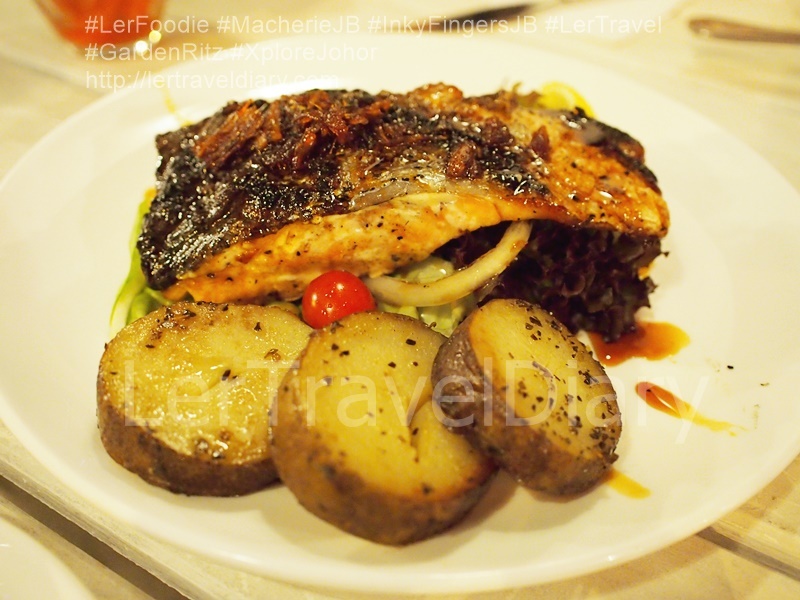 Teriyaki Salmon RM38.00. The homemade sweet teriyaki sauce with Norwegian Salmon was well grilled. 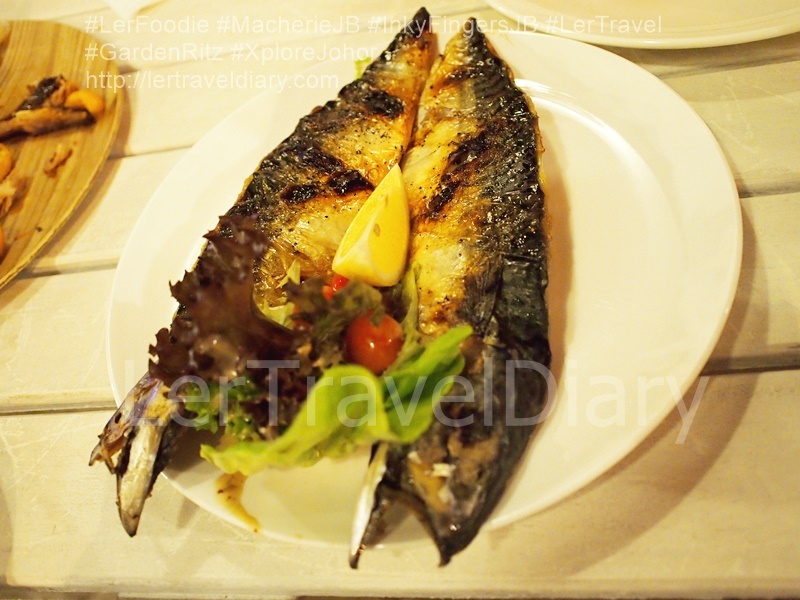 Most of the male diners include Mr. Ang praise for its crispy salmon skin. Mix Skewer Basket RM49.00. 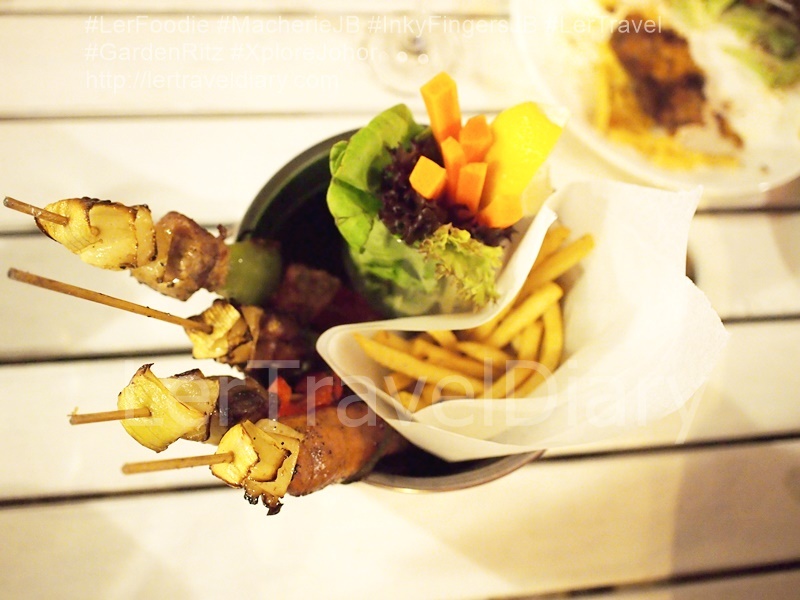 Each skewer (aka satay) has chicken , beef, pork and sausage. Stick salad and fried potato are served too.